Intravenous (IV) cannulation is a core clinical skill in modern nursing practice. There are several reasons why it is vital for a nurse to acquire the ability to prepare, start, administer and properly maintain an IV insertion. For one, an IV may oftentimes be the only way a patient can receive life-saving medication and therapeutic fluids. Additionally, knowing how to initiate and maintain an IV insertion site is essential in order to recognize, prevent, and manage incidents of infiltration, infection, and other complications that might pose a risk to patient health. IV insertion skills training has endured a varied history, from sticking a needle into a piece of fruit to starting IVs on fellow learners and students. Today, full body nursing manikins present a safer and decidedly more reliable alternative for developing this skill. 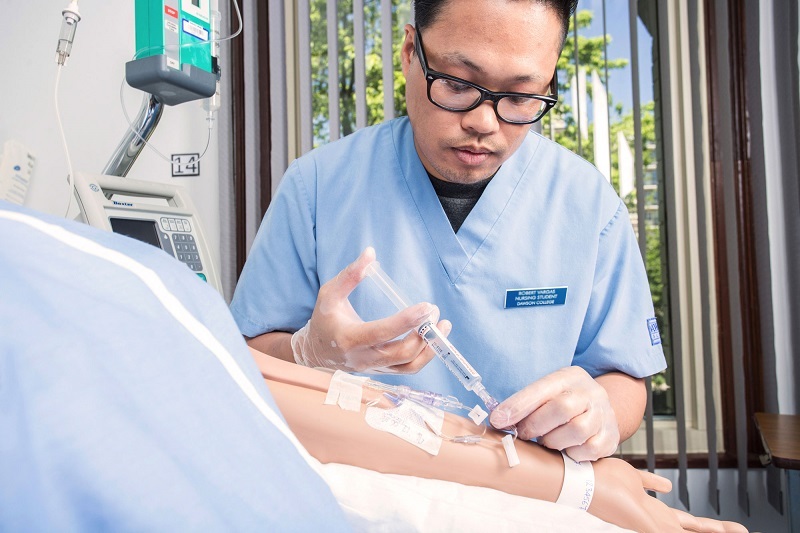 Manikin-based training in IV cannulation (as opposed to practicing on other students, or on a live patient) enables healthcare learners to achieve risk-free and effective proficiency in this essential medical procedure. Furthermore, needle insertion training on a nursing manikin can improve patient safety, and promote the transfer of procedural knowledge from the educational setting to the actual clinical environment. CAE Juno is a modern nursing skills manikin, designed to foster reliable training in a range of essential, clinical procedures -- from NGT placement for lavage and gavage, and tracheotomy care to urinary catheterization placement and more -- all without exposing patients, or fellow students, to unnecessary pain, discomfort and/or infection. For intravenous insertions, Juno is equipped with an IV arm that facilitates cannulation training, IV placement, intramuscular (IM) injections, and medication administration. 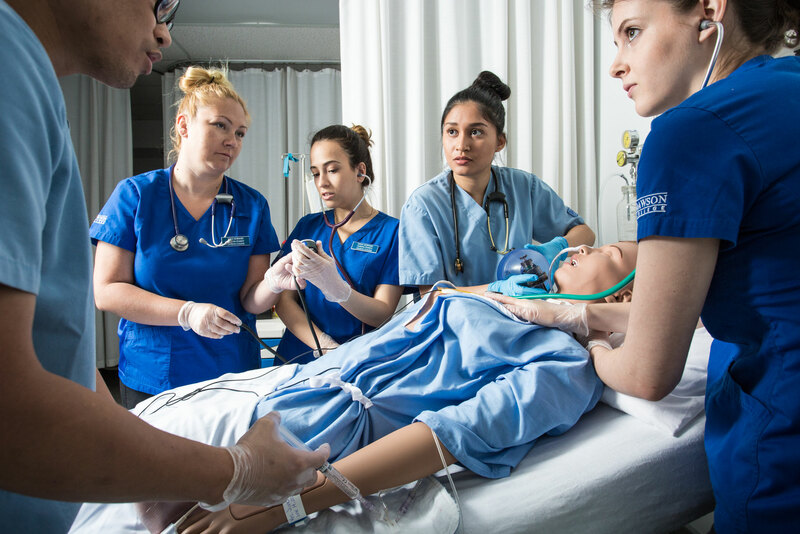 Learners benefit from deep learning through repeated practice on the manikin, giving students the opportunity to learn from their errors within a risk-free environment. CAE Juno offers educators the means to effectively guide their learners towards proficiency in basic clinical skills, critical thinking, and intraprofessional communication -- all within one cost-effective and resource-saving package. Learn more during an interactive virtual demo. Find out today how CAE Juno can facilitate skills development in your learners. Da Silva G, Priebe S, Dias F: Benefits of establishing an intravenous team and the standardization of peripheral intravenous catheters. J Infus Nurs 2010; 33: 156–60.